Let the pink faultlessness fill their day with our rightly unique arrangement. Designed to make any day sweeter, our designers have gathered a stunning assortment of flowers in vibrant shades of pink. 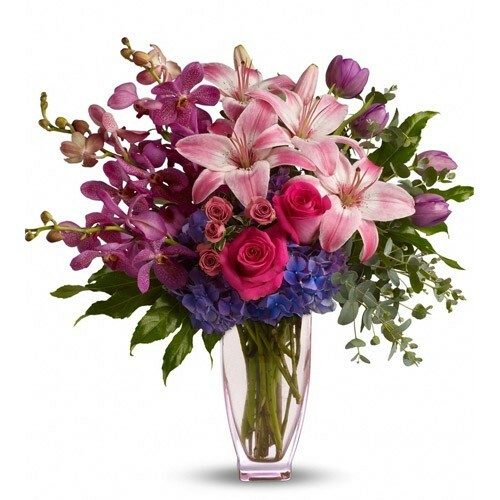 Hand-arranged in a clear glass vase, it's a gift that serves up long-lasting smiles.